On the 14 May we held our May 2014 club meeting. There was a last minute change to the planned talk because Bernie Wollands had a last minute change to his travel plans. Saying that we had four very interesting topics that more than filled our time. The results of the growth competition varied from 10% upto 40% increase within the 5 months. 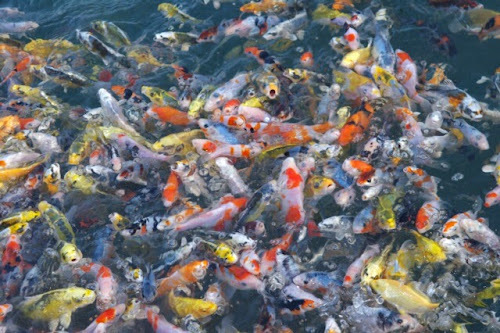 One observation was that the winner and the koi with least growth were real exceptions. If we were to remove these outliers the growth range would have been 18% to 33.4%. The development completion was 'as always' a great topic for debate. 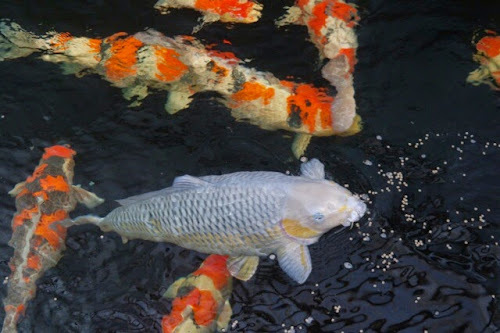 There were about five koi that really developed well with significant improvement in the beni. The interesting discussion that could still be running now was, do you want a finished koi at 30cm or one that still has plenty of potential for future development. 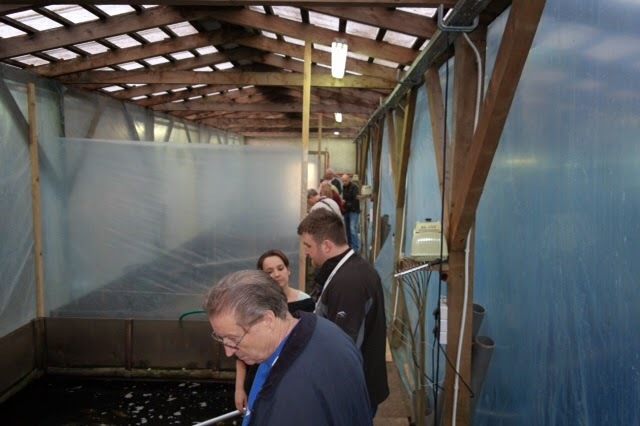 Yoshikigoi koi farm in Poland is currently the largest koi farm in Europe and the volume of koi produced is up there with some of the biggest global breeders. A significant proportion of the koi produced on the farm are currently sold to the mainland European koi markets (especially Holland and Germany). Currently Yoshikigoi is in the final stages of testing by CEFAS to ensure the farm is free of KHV and SSV. These tests have been carried out over the past five years and the farm passed everything so far. 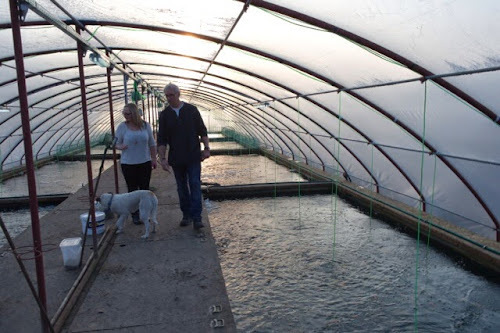 Once approved this will open up the import of the koi into the UK which will be another large market. One question that everyone in the club wanted to know was, "How does the quality of the koi compare to those from the Japanese breeders?" 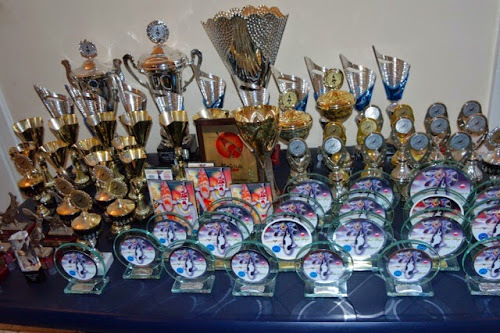 Well the number of trophies his show koi have won can answer that quickly. The koi are of a very high standard and all the members were impressed with the quality. 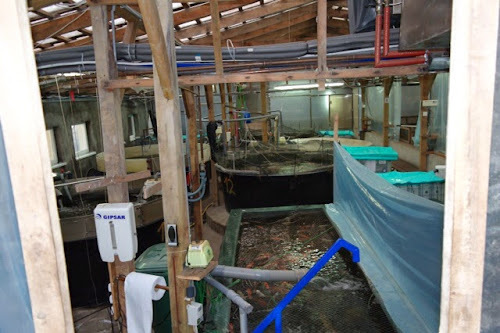 This trip was more focused on seeing the operation at Yoshikigoi rather than buying koi so it was a challenge to get Jos to sell some to the members. In the end three koi were bought and have been left in the mud ponds with the aim to bring them back to the UK next spring. 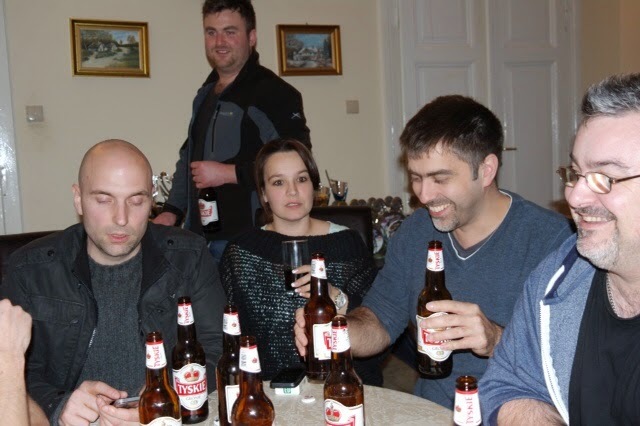 All the members on the trip did say that the hospitality extended by Jos and family was absolutely fantastic. It was great to hear that the social side of the trip was also superb and that the headaches have now cleared! It will be very interesting to see if and when Jos ventures to the big Japanese shows and how he gets on. The next section was really useful and also showed one of the huge benefits of the club (the support network). There have been a large number of issues this year experienced by everyone and I, for one, have experienced my fair share! The parasites observed included flukes and Costia. As we know, heating does help to maintain the koi's immune system to fight off these parasites in the spring and late autumn. I for one will be making changes to my setup. In the final ten minutes of the evening (we could have had much longer) Bob talked us through a very impressive presentation regarding the pros and cons of an airlift setup. What differentiated this talk from others on the subject was the 'real-life' videos of his setup. Craig also runs an airlift system and having seen it in action it really does move a significant volume of water via his four inch pipes . Given the saving in electricity this really is something to strongly consider for pond builds. I will add some additinal images into this section nine next next few days. 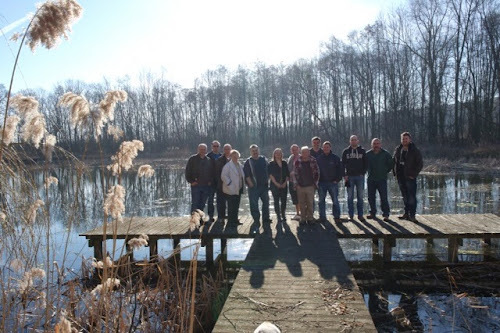 Next month (Wednesday 11 June 2014) we have a pond visit at Nemo's (Tony at KoiKare) in Amersham, Bucks. This is the first member's pond visit of the year and these are always nights not to be missed. The full address will be emailed to all members.